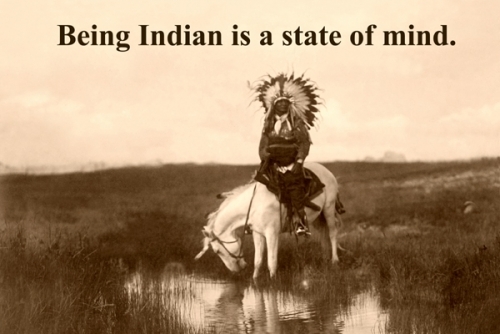 Being Indian is a State of Mind - Custom poster was designed utilizing one of our restored vintage photographs with Native American Wisdom. Image depicts an Indian Chief on a horse in front of a glimmering pool of water. Our high quality posters are printed on semi-glossy, 48 lb paper and measure 11" x 17" and are only at Legends' General Store.